After a ten-year campaign by the Minnesota Federation of Women's Clubs, the Minnesota National Forest (now Chippewa National Forest) was created in 1908. 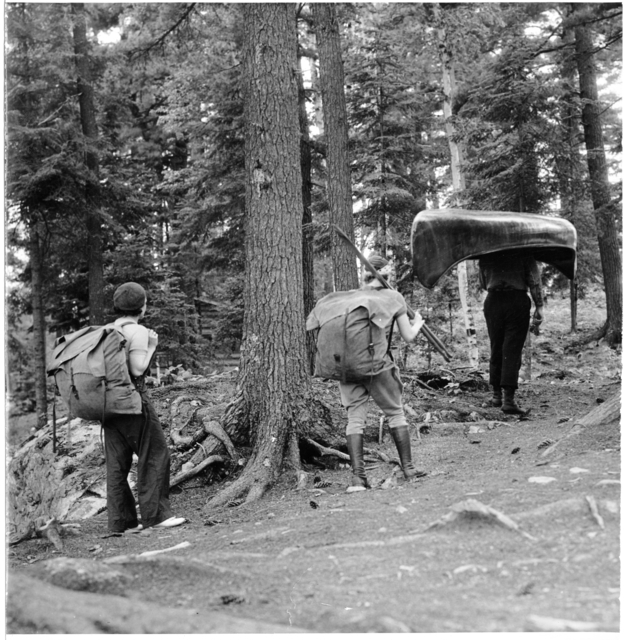 This photo shows campers portaging a canoe in the Chippewa National Forest in 1940. 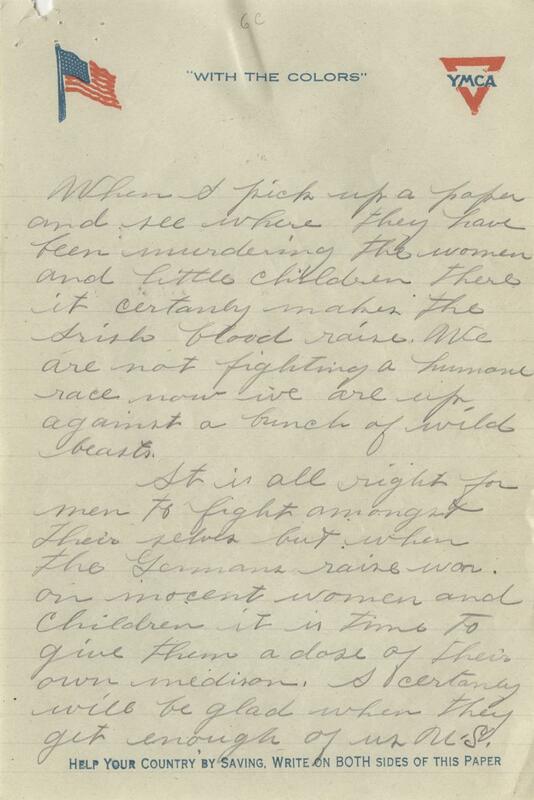 Mechanic William McFarland of the 77 Aero Squadron sent this letter to his pen-pal in Minneapolis. 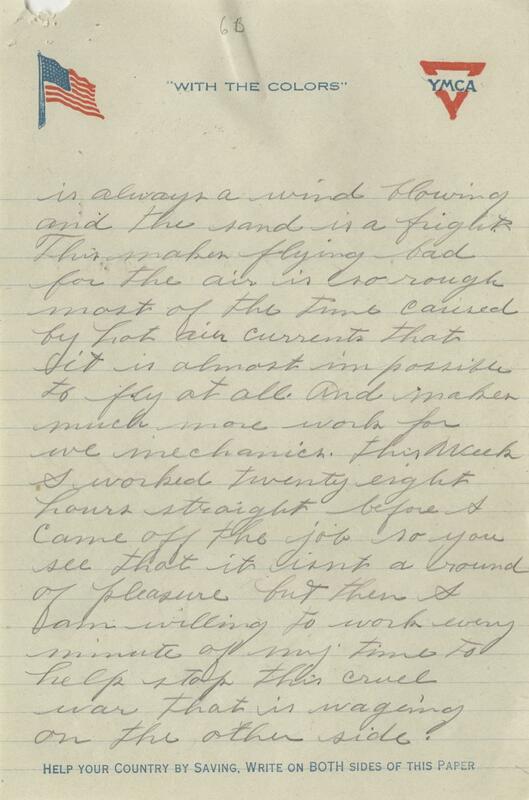 He relates that the weather has been incredibly hot and dry recently, creating a lot of dust, and making flying almost impossible. He said because of that, he has been working around the clock on the planes to keep them in working order, and that one day he worked for 28 hours straight before he was given a break. While he does complain about that, he also says he would work every minute he has in order to stop the war. [...] We are certainly having some warm weather here now and no rain so you can imagine how the sand is here as there is always a wind blowing and the sad is a fight. This makes flying bad for the air is so rough most of the time caused by hot air currents that it is almost impossible to fly at all. And makes much more work for we mechanics. This week I worked twenty eight hours straight before I came off the job so you see that it isnt a round of pleasure but then I am willing to work every minute of my time to help stop this cruel war that is waging on the other side! [...] Well it is time for me to get back to work. Hoping this finds you and your daughter in the best of health I remain as ever a boy in the U.S.A. The Saint Paul Saints's baseball season starts up again this week! 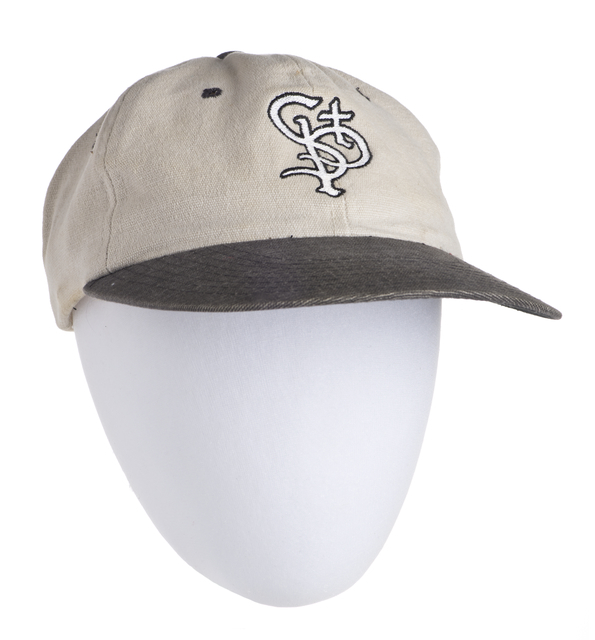 This Saint Paul Saints baseball cap was signed by Ila Borders, one of the first female pitchers in men's professional baseball, in 1997. 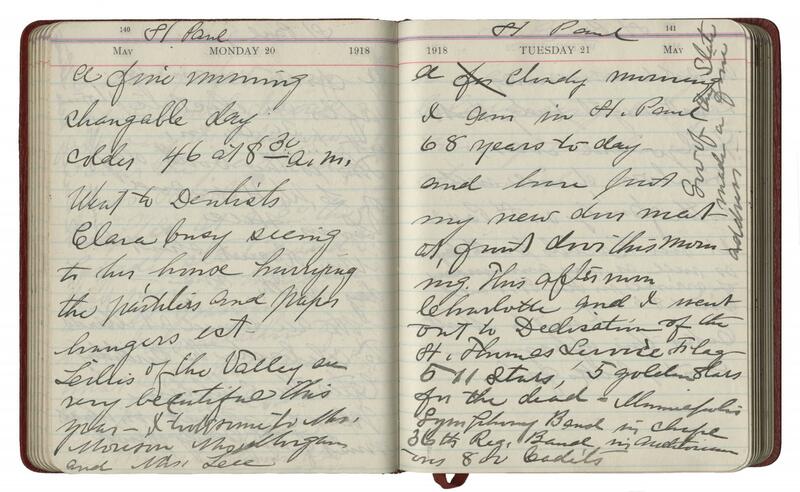 In this diary entry, Mary T. Hill recounts attending a dedication service for St. Thomas' Service Flag. She says there were 551 blue stars on the flag, representing those from St. Thomas who were currently serving in the war, and 5 gold stars, representing those who had died while serving. The Minneapolis Symphony Orchestra played at the service, and she says the Governor of Minnesota gave a lovely speech. A cloudy morning, I am in St. Paul 68 years today and have put my new door mat at front door this morning. This afternoon Charlotte and I went out to Dedication of the St. Thomas Service flag. 551 stars, 5 golden stars for the dead. Minneapolis Symphony Band in the chape [sic] 36th reg. band in Auditorium over 800 cadets. Gov of the State made a fine address. Today (the first Monday after the third Saturday in May) is the mandated last day of the legislative session. Will they finish in time? 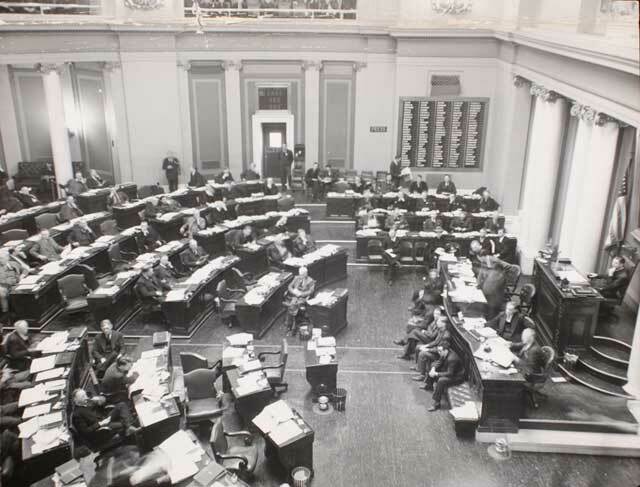 This photo is of the Minnesota House of Representatives in 1941. 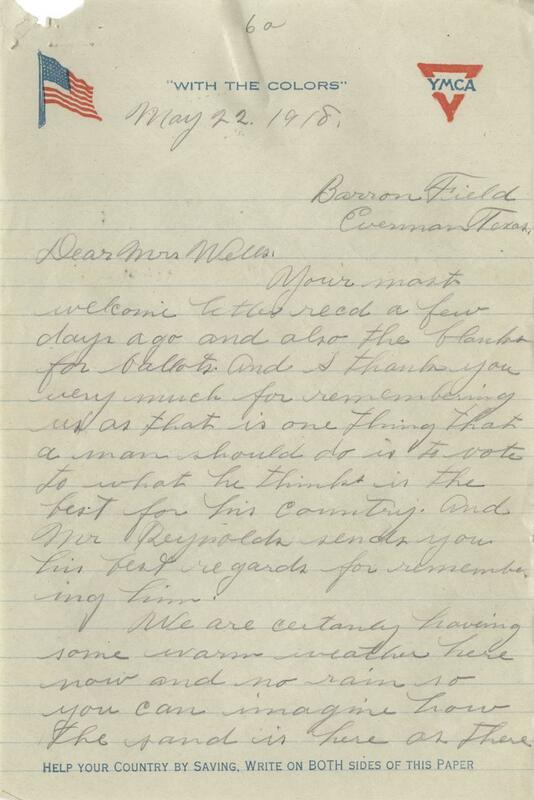 This letter was sent by to all the Division Directors of Civilian Relief for the American Red Cross. 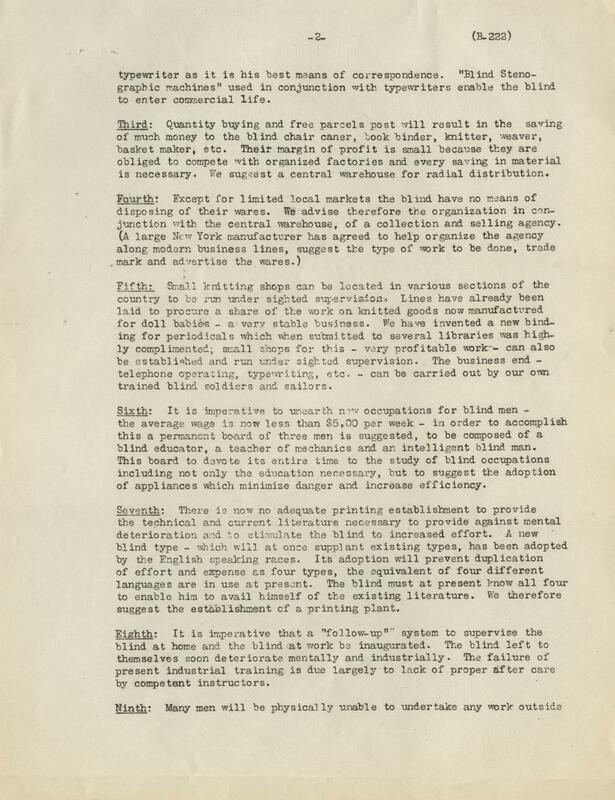 It concerns the American Red Cross' incredibly detailed plan for trying to help blinded soldiers, which would include giving them and their families training, helping them set up businesses such as raising poultry, book binding, and more. 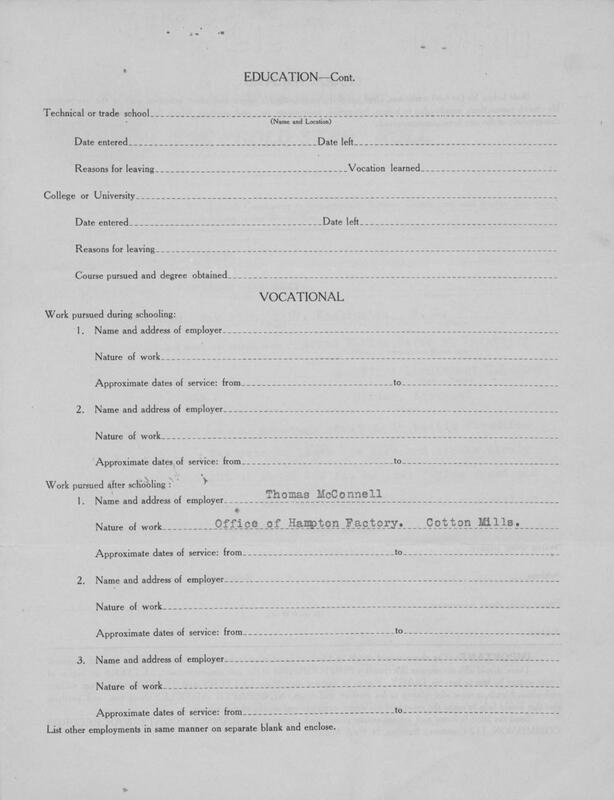 It closes by saying many soldiers who were blinded also received other wounds, such as burns, amputations, destructed jaws and so on, so it is important to provide for these men who "the nation owes a lasting duty." "First: To provide a home and transportation to the Blind Training center for the relative who will be responsible for the care of the blinded man when returned to his home. 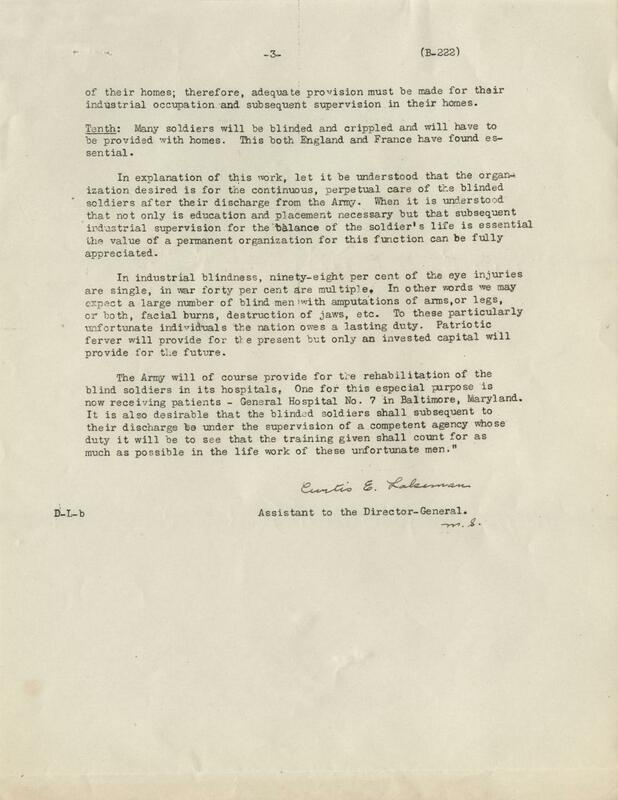 [...] Tenth: Many soldiers will be blinded and cripples and will have to be provided with homes. This both England and France have found essential. In explanation of this work, let it be understood that the organization desired is for the continuous, perpetual care of the blinded soldiers after their discharge from the Army. [...] In industrial blindness, ninety-eight per cent of the eye injuries are single, in war forty per cent are multiple. In other words we may expect a large number of blind men with amputations of arms, or legs, or both, facial burns, destruction of jaws, etc. To those particularly unfortunate individuals the nation owes a lasting duty. Patriotic fervor will provide for the present but only an invested capital will provide for the future. The Army will of course provide for the rehabilitation of the blind soldiers in its hospitals. One for this especial purpose is now receiving patients - General Hospital No. 7 in Baltimore, Maryland. 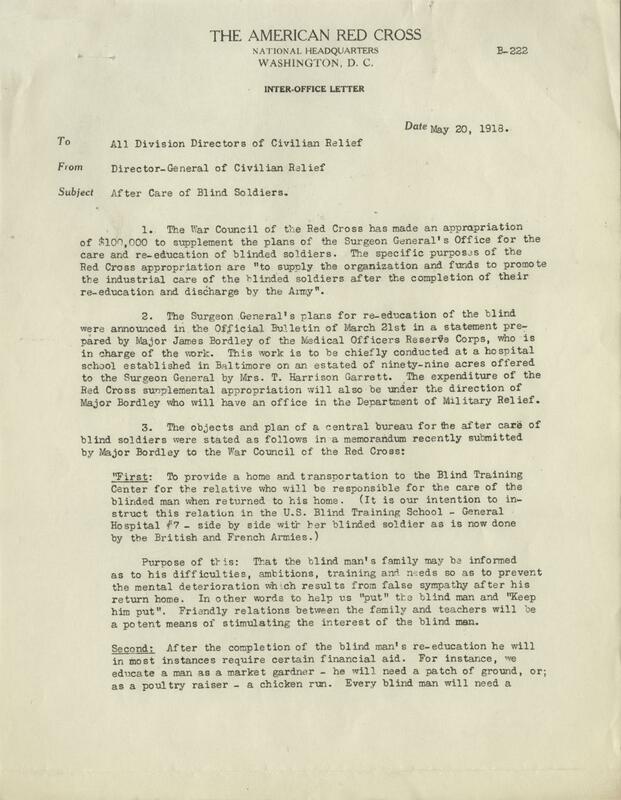 It is also desirable that the blinded soldiers shall subsequent to their discharge be under the supervision of a competent agency whose duty it will be to see that the training given shall count for as much as possible in the life work of these unfortunate men". Bernard Gallagher of Waseca, Minnesota, was a recent medical school graduate when he entered the service. In 1918 he was serving with the 61st Division of the British Expeditionary Force in France, when he was captured by German forces in March. 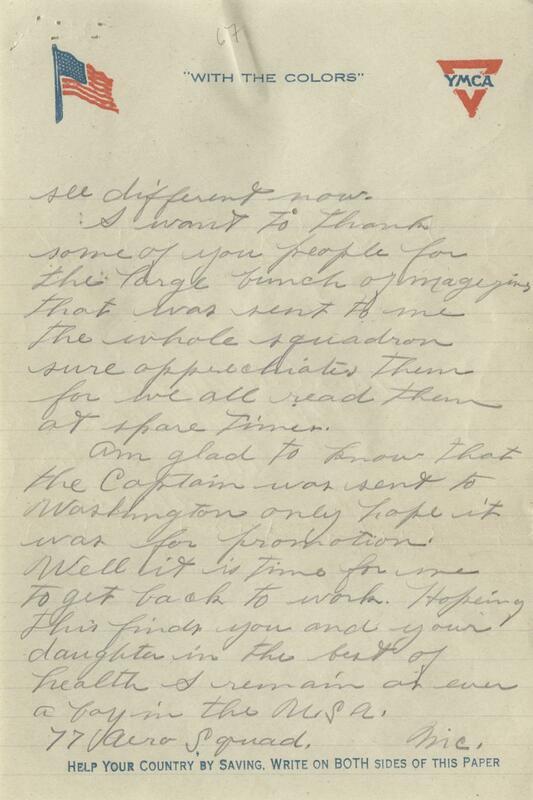 Gallagher's Commanding Officer sent this letter to his parents, informing them he had been taken as a prisoner of war. 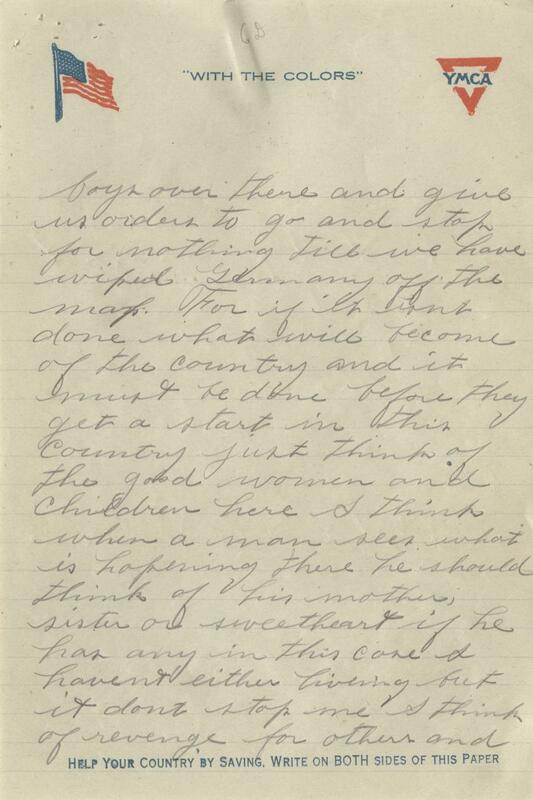 Gallagher was taken because he stayed behind with wounded men who could not be moved when his battalion was forced to evacuate the town they were in, an act his commander regrets. As Commanding Officer of this Battalion I opened the letter from you inquiring about your son. [...] He was, as you know a medical officer in this Battalion. We were one of those holding part of the line which the Germans attacked in considerable strength on March 21st. 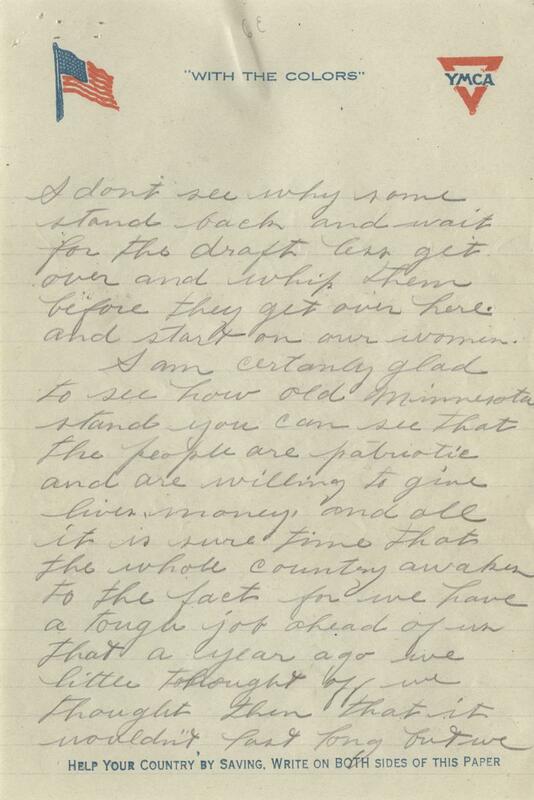 Your son was with us until March 28th and on that day there was some rather heavy fighting in and near a place called Marcelcave- not very far from Amiens. We eventually had to evacuate the village. Your son had a good many wounded in his "aid post" and was unable to move them, as owning to the heavy shelling the ambulances were not able to get up. He remained with them and was, of course, taken prisoner after our troops had retired outside the village. That, briefly, is what happened. 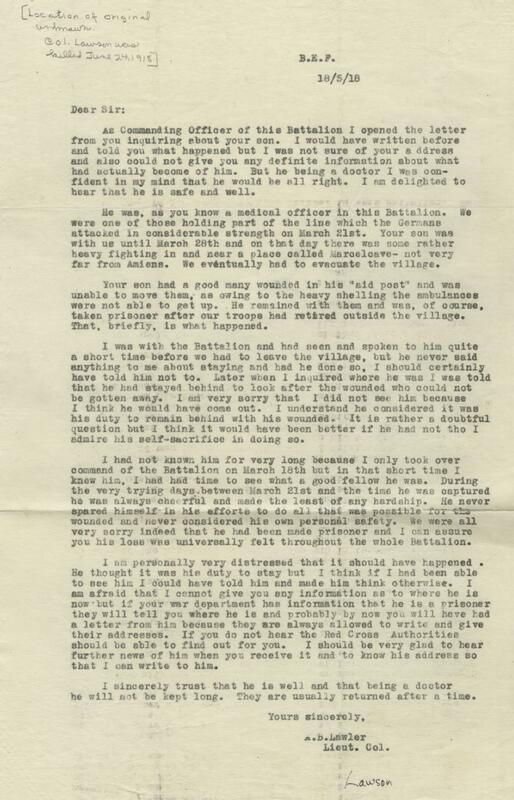 I was with the Battalion and had seen and spoken to him quite a short time before we had to leave the village, but he never said anything to me about staying and had he done so, I should certainly have told him not to. Later when I inquired where he was I was told that he had stayed behind to look after the wounded who could not be gotten away. I am very sorry that I did not see him because I think he would have come out. I understand he considered it was his duty to remain behind with his wounded. [...] I sincerely trust that he is well and that being a doctor he will not be kept long. They are usually returned after a time. 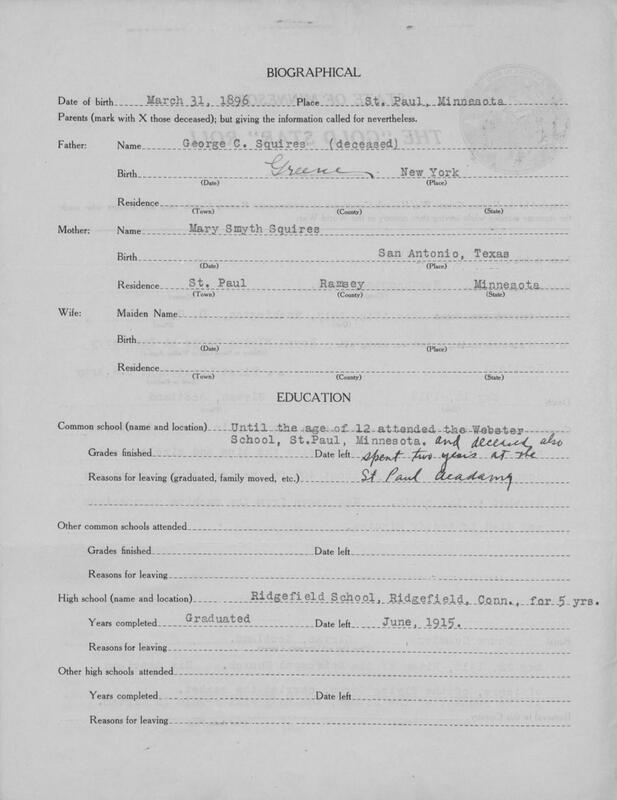 This is the Gold Star Roll file of Lieutenant George Squires, who enlisted just after America declared war and volunteered for the Flying Service. Squires trained with the Royal Flying Corp., as no American schools had been established yet, and he was clearly determined to learn how to fly. He was killed on this date in a plane accident. 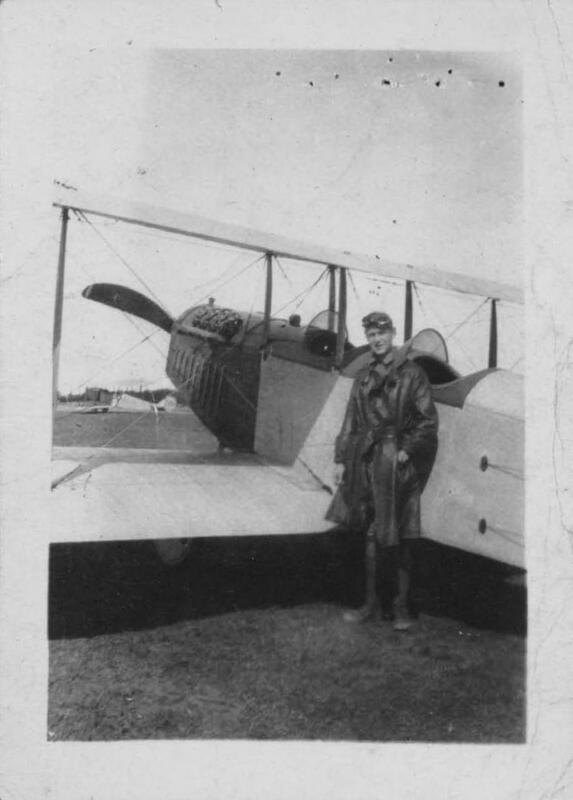 Included is a photograph of Squires posing with one of the planes he flew during the war. 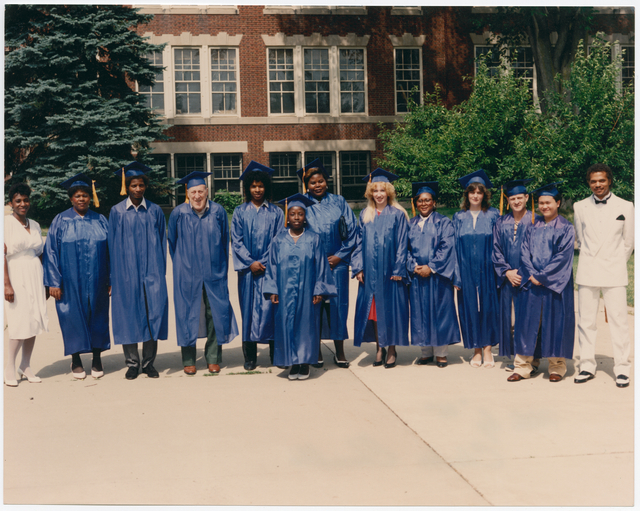 This photo by Charles Chamblis is of a group of graduates, possibly outside the Willard School in North Minneapolis, in 1986. Congratulations to all graduating this year!